Our Puppy Application Form helps us to place puppies in the right environments. Your answers to the questions help us to understand what you are looking for in a puppy. DOG PREFERENCES - Coat Type: Do you prefer: Completely non-shedding -OR- Is minimal shedding ok? DOG PREFERENCES - Do you want to reserve a dog from a specific litter? FAMILY INFO - DO ALL YOUR FAMILY MEMBERS WANT A NEW PUPPY? FAMILY INFO - PLEASE DESCRIBE YOUR HOUSING SITUATION - DO YOU OWN OR RENT YOUR HOME / PROPERTY SIZE / DOES YOUR HOME HAVE A FENCED YARD? PUPPY INFO - WHERE WILL YOUR PUPPY BE KEPT DURING THE DAY? PUPPY INFO - WHERE WILL YOUR PUPPY SLEEP AT NIGHT? REFERENCES - WHAT IS THE NAME AND PHONE NUMBER OF YOUR VETERINARIAN OR CLINIC? SO WE KNOW BETTER HOW TO REACH GREAT PEOPLE LIKE YOU, HOW DID YOU FIRST HEAR ABOUT US? Do you have any questions or do you need more information from us? Please feel free to call or e-mail us for more information. This Puppy application may also be printed out by clicking HERE and either scanned and sent to us via e-mail or via mail. We are a small family breeder located in Oregon. 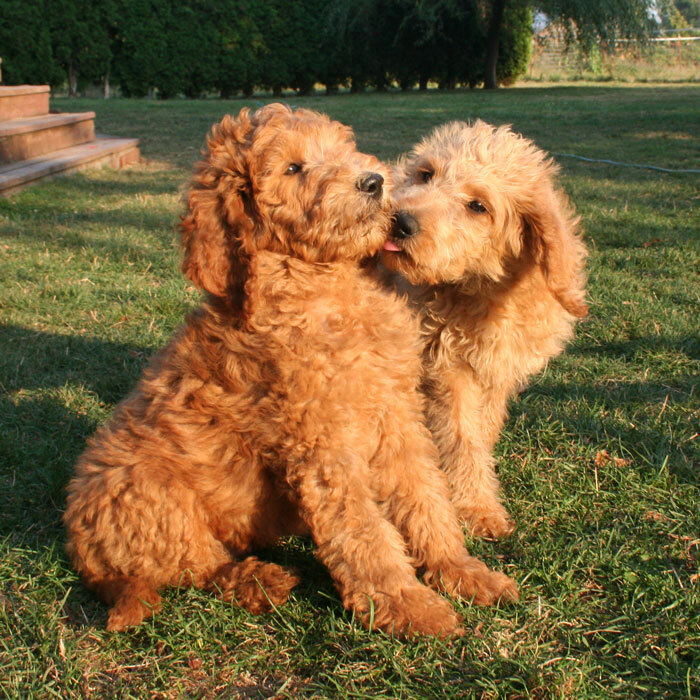 It is our sincere desire to match the best Labradoodle puppies to wonderful families. They are truly magnificent animals. It takes more than a Lab and a Poodle to create a Labradoodle with the temperament, health, beauty and fantastic disposition that you would want in a family dog. Adding a dog to the family is adding a new family member. Don't be taken by the "too good to be true" deals that seem to be out there. Dogs that are cheap are cheap for a reason. All Labradoodles are not created equal. Not all Labradoodles are non-shedding and Hypo-Allergenic. Not all Labradoodles that are bred to a Mini will be a Mini. It is important to do your homework and make sure that you are getting what you think you are getting and what you paid for. It takes a great deal of time and money to raise healthy, happy Labradoodles. That will reflect in the price of your new Labradoodle family member. ©2010-2018 Signature Labradoodles. All Rights Reserved.